Why would I completely disregard a whole bouldering grade and attempt something I didn’t even know I could do? Exactly for that very reason. 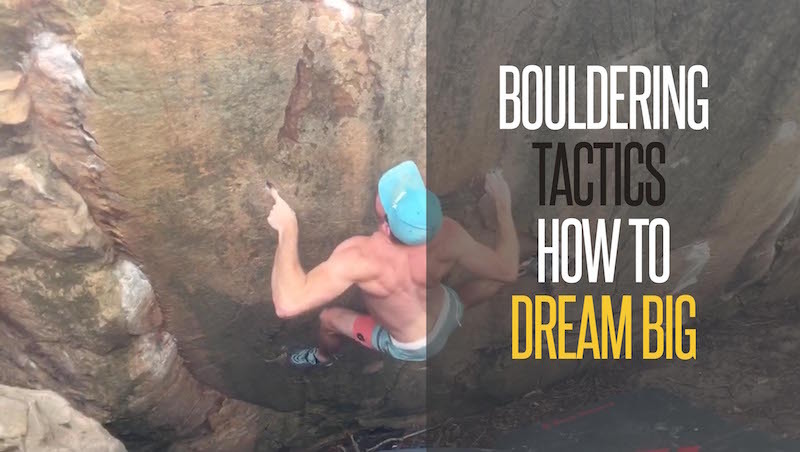 In this post I’m going to go through the bouldering tactics and journey I went on to try and climb a V11 boulder problem. Did I manage the send? To find out, you’ll have to watch the video at the end. On that first trip I got shut down pretty hard, but made enough progress to feel like it could possible. I drove the 5 hour journey home with a sense of purpose, determined to step up my training. I also had a plan, one based specifically around the style of climbing required for the boulder problem. Luckily that was about it. The problem is actually pretty short, but packs a fairly hefty punch. I knew that training finger monos was probably a recipe for disaster, so decided against those and focused solely on the half crimp. To improve these I began a regime of 1-arm half crimp hangs, based on a modified version of this fingerboard program outline by Chris Webb Parsons. On top of that, I focused my bouldering training on limit bouldering and added some basic climbing conditioning exercises. Training wasn’t actually as heinous as I thought it would be, in fact, the 1-arm hangs were pretty casual due to the large amount of rest between sets. 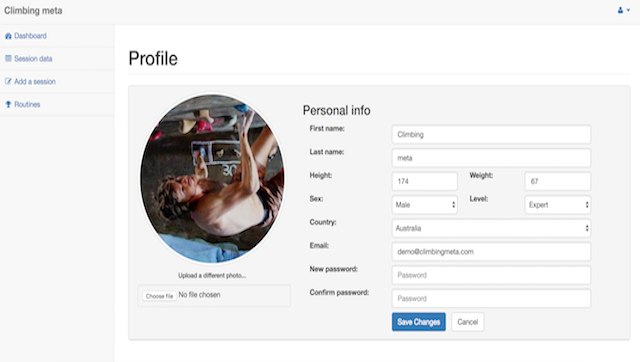 I’ll be sharing the modified program and other details soon here at Climbing meta, along with free training timers of course.Surprisingly though I was seeing some good results and returned to my project about a month later. I was seeing some good results from this specific training and returned to my project about a month later. Second time around I had the support of my climbing crew and more confidence in my ability after some solid training. I warmed up, pulled on… and was promptly shut down again. This happened again and again, driving 5 hours each way for the sole purpose of attempting the one boulder. As frustrating as it was I was hooked! Each visit slowly revealed a new piece of climbing beta to me, but only when I took the time to think clearly about my movement and positioning while climbing (which can be pretty hard to do when you are climbing at your limit). My one big takeaway for me was recording each attempt on video. It gave me an opportunity to fully understand what was working and what wasn’t. I don’t know about you, but I tend to blank when it comes to remembering moves after getting off a climb. I think all the blood must be in my forearms! Something I do recall is either feeling good or bad, being able to go back to the footage to understand exactly what that was is an absolute game changer. The closer I got to unlocking this problem, the more I realised it was about keeping my feet. I needed to be able to pull out while holding a drop knee to keep my hips in and make those poor holds as good as possible… once I had unraveled all of the beta, I just had to bring it all together into one seamless attempt. If you have a current project, or have managed to send your nemesis climb in the past, I’d love to hear about it in the comments.